SÃO PAULO, BRAZIL – Foreign fixed income investments in Brazil reached US$4.91 billion in the month of June, following the government’s decision to zero the IOF tax. That is more than the $4.17 billion fixed income investments the country registered between January and May combined this year. 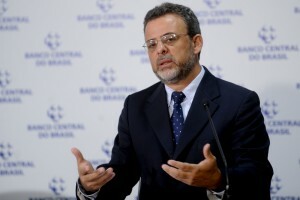 The Brazilian Central Bank’s Tulio Maciel believes the zeroed IOF tax rate is driving an increase in foreign fixed income investments, photo by Wilson Dias/ABr. According to economics department head at Brazil’s Central Bank, Tulio Maciel, investors seem to be migrating from stock to fixed income assets, like bonds, due to the scrapped IOF tax. “It is possible that […] with the departure of shares and entry of fixed income, in some way is mirroring that,” Maciel said last week. The government made the decision to zero Brazil’s IOF (Tax on Foreign Transactions) in an effort to protect the real against the U.S. dollar’s swift rise in early June. The move brought the six percent rate to zero in the hopes that facilitating the dollar’s entry into the Brazilian financial markets would lead to an increase in U.S. dollars, augmenting supply and lowering the currency’s value. However, the American currency, which increased 6.2 percent against the Brazilian real just in May, did not see its value drop as a result of the government initiative. Last week, the dollar continued to strengthen against the Brazilian currency and is now hovering at R$2.22. Dollar versus reais, photo internet recreation. According to Carlos Eduardo Toro, director for International Taxes at Brazil’s KPMG, a large, global auditing and tax services firm, that outcome was to be expected. “The government does what it can to put the brakes [on the dollar’s rise], but this does not depend only on the government,” Toro said, referring to the dollar’s rise. “Historically, the IOF tax rate has been used to diminish the entry of a foreign currency in Brazil,” and to control the exchange rate, he said, adding that it is the “only path the government has” to affect that rate. In recent weeks, the Central Bank has made an effort to slow the dollar’s momentum by selling currency swap contracts. In May, the government also slashed the IOF tax on future sales of the U.S. dollar to reduce obstacles to selling the dollar in the future. “But government by itself is not capable to stop [the dollar] because it is a global phenomenon,” Toro explained. As for the rise in fixed income investments, which the government has largely attributed to the lowered IOF Tax, Toro believes there is an another factor at play. The up-tick in fixed income investments registered this month “is not only due to the IOF, which certainly creates an incentive, but it is also the perspective of an increased government interest rate, the SELIC,” he said, adding that Brazilian businesses looking for foreign investors could benefit from the slashed IOF. At the end of May, the Brazilian Central Bank unanimously decided to lift the SELIC, the country’s benchmark interest rate, by 0.50 percent to eight percent, in order to curb inflation. 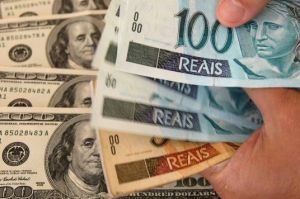 While fixed income saw positive figures, the balance between entry and flight of dollars in the country’s financial market was negative for Brazil, coming in at US$209 million so far in June, according to information from the Central Bank. In the same time period, the commercial balance, that means exports and imports, was also negative for Brazil, at US$488 million. The preliminary data also show equally stark results, with a US$3.5 billion outflow of foreign capital in stocks in the first six months of this year.